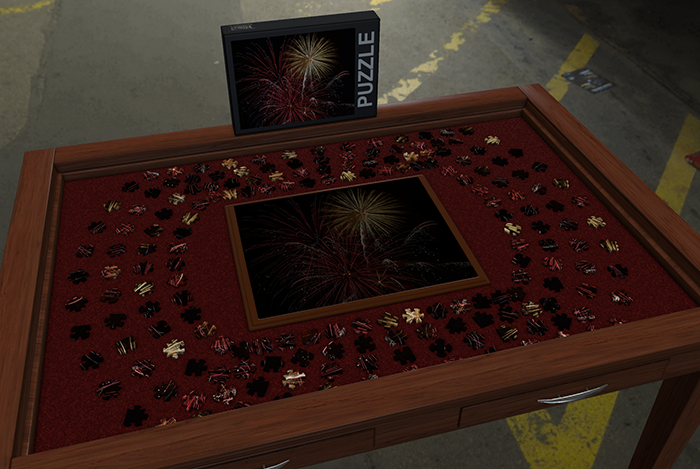 One fun thing you can do in Tabletop Simulator is make and put together jigsaw puzzles! It’s very simple to do. Just click on GAMES -> CLASSIC -> JIGSAW. Choose how many pieces you’d like your puzzle to be broken into. You can choose anywhere from 20 (easy) to 320 (hard). Import your image either from your computer or upload to a web host and input the URL manually. 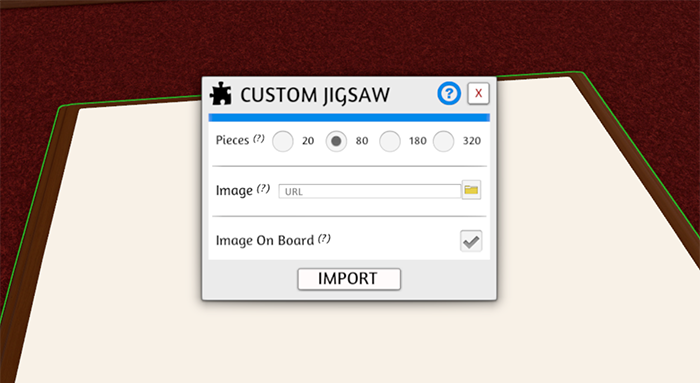 Click import and your jigsaw puzzle will be ready for you to put together. Try to use images that are busy and have a lot of color. If you use an image with a lot of one color (like in my example image), it may be harder to put it all together in a timely manner.